Nimrod Parba, a 26-year-old resident, said a relative trapped in a house beneath the rubble managed to call Thursday morning and begged to be rescued. The calls stopped, however, and the relative could not be reached hours later, Parba said. “We’re really hoping we can still recover them alive,” she said. “It was like an earthquake and there was this thundering, loud banging sound. All of us ran out,” Villarba said, adding that she, her husband and three children were shocked but unhurt. “Many of our neighbors were crying and screaming for help. Some wanted to help those who got hit but there was too much earth covering the houses, including my brother’s,” she said. Nearly 20 people lived in her brother’s home, mostly his family and grandchildren, she said. Villarba said she had felt sorry a few days earlier for the landslide victims in the country’s north. “I had no idea we would be the next,” she said. 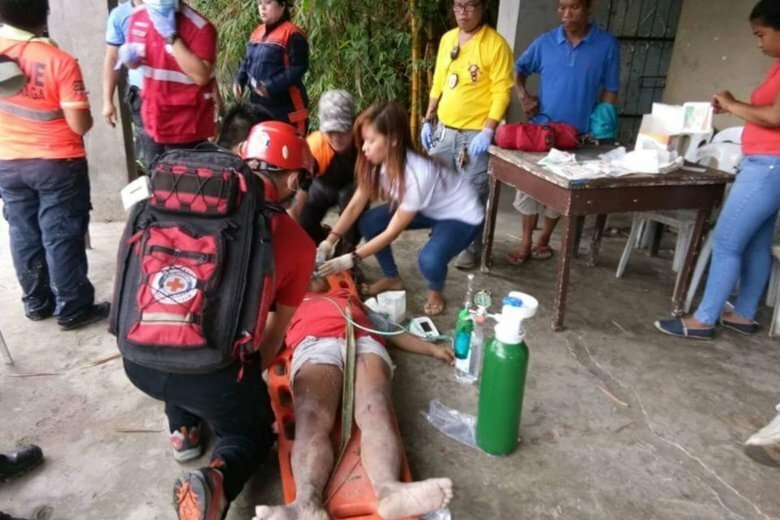 Elsewhere in the landslide-hit community, a father and his young daughter were found dead in each other’s embrace in a house, volunteer rescuer Vic Santillan said. It’s not clear what set off the landslide, but some residents blamed limestone quarries, which they suspect may have caused cracks in the mountainside facing their villages. Villarba said a light rain stopped when the landslide hit and there was no rain on Wednesday. The Philippines is one of the world’s most disaster-prone countries. It is lashed by about 20 storms each year and is located in the Pacific “Ring of Fire” that is vulnerable to earthquakes and volcanic eruptions. Poverty has forced many to live on or near volcanoes, steep mountains and storm-vulnerable coasts, often leading to disasters.